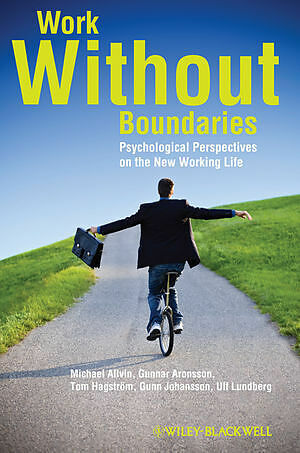 Translated and adapted from a Swedish original, Work without Boundaries: Psychological Perspectives on the New Working Life tackles the human impact of the changing nature of work. Michael Allvin is Associate Professor of Sociology in the Department of Sociology at Uppsala University and a licensed Psychologist. Gunnar Aronsson is Professor of Work and Organizational Psychology in the Department of Psychology at Stockholm University. Tom Hagström is Professor Emeritus of Education in the Department of Education, Stockholm University and a licensed Psychologist. Gunn Johansson is Professor Emeritus of Work Psychology in the Department of Psychology, Stockholm University. Ulf Lundberg is Professor of Biological Psychology in the Department of Psychology at Stockholm University, and at the Centre for Health Equity Studies (CHESS), affiliated with Stockholm University and the Karolinska Institute, Sweden.